DOT Common Sense Eyelet w/ Backing Plate, Marine Grade Nickel Plated Brass (20 Piece Set) by Dot Scoville at N Online Agency. Hurry! Limited time offer. Offer valid only while supplies last. 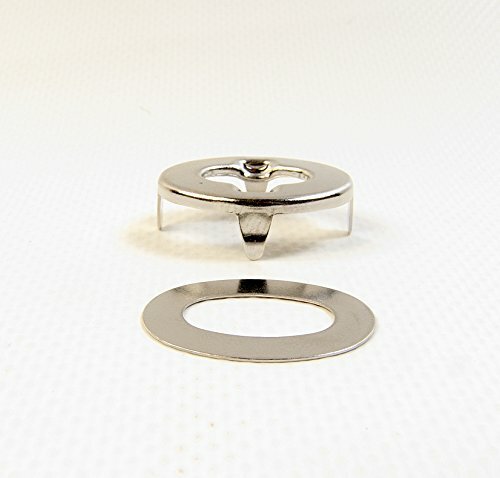 DOT Scoville Nickel Plated Brass Common Sense Fastener's Eyelet / Grommet Portion w/ Backing Plate. The Part Number for this item is 91-BS-78403-1A. If you have any questions about this product by Dot Scoville, contact us by completing and submitting the form below. If you are looking for a specif part number, please include it with your message.